During 1992 D7017 was painted in departmental 'Dutch' livery and renumbered 35017. Although of course no class member every carried this livery or indeed TOPS numbers, they certainly would have done if they had lasted another twenty years, so it was an interesting experiment in 'what might have been'. 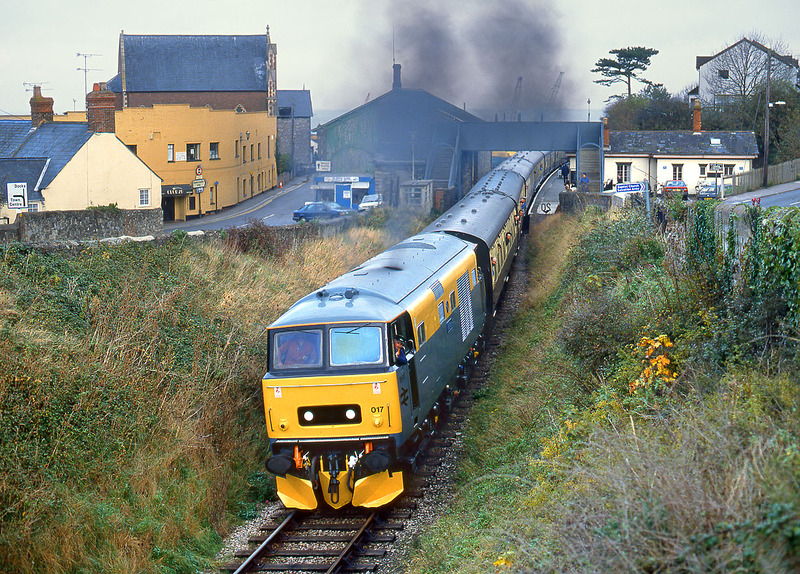 On 31 October 1992 35017 (D7017) darkens the sky as it departs from Watchet station with a Minehead bound train during the West Somerset Railway's Diesel Gala.